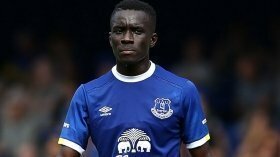 Gueye attracting Arsenal, City interest? The Senegal international has recently been tipped to pursue a fresh challenge away from Goodison Park with Paris Saint-Germain deemed to have already failed with an approach. According to Sky Sports News, both Arsenal and City are now keeping tabs on the midfield enforcer and they could potentially compete with Les Parisiens for the player's services before the deadline. Les Parisiens failed with a £21.5m offer for the midfielder during the previous weekend and it is claimed that the Toffees want at least twice the figure for the former Aston Villa man. Gueye was left out of the matchday squad for the Toffees' league game against Huddersfield Town last night but manager Marco Silva has clarified that the decision was taken due to a minor groin issue rather than the gossip.